ASPCA Voices for Animals Award honoree Cecily Strong on the orange carpet with an adoptable puppy at the 2018 Bergh Ball. 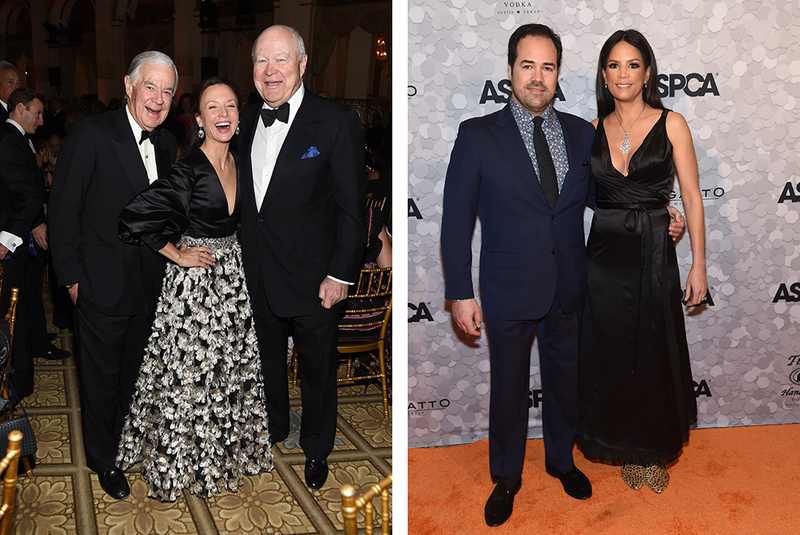 Last week, we honored longtime ASPCA event chair members and volunteers, Laura Z. Barket and Mindy Fortin, as well as actress and animal advocate Cecily Strong, at the 21st annual ASPCA Bergh Ball. 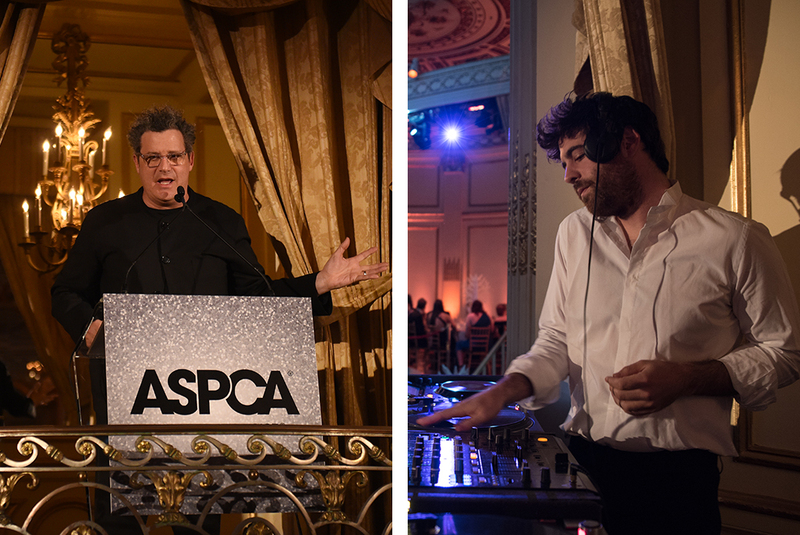 The gala once again proved to be a night to remember for ASPCA supporters and adorable furry friends, while raising critical funds for at-risk animals nationwide. 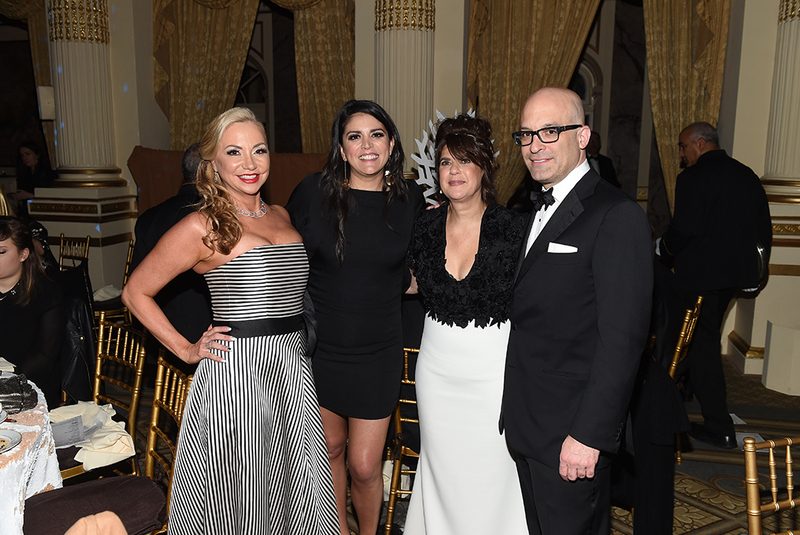 Laura Z. Barket, Cecily Strong and Mindy Fortin with ASPCA President & CEO Matt Bershadker, who presented the three honorees with their awards. 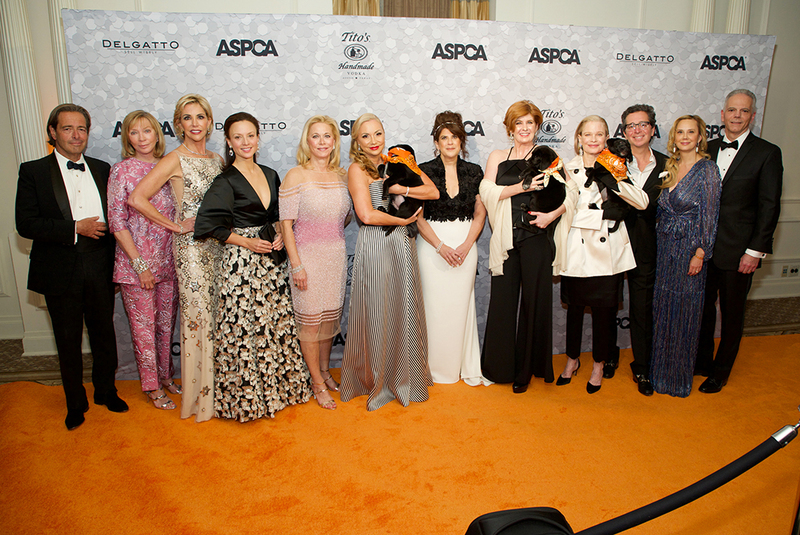 Both Laura Z. Barket and Mindy Fortin were honored with the ASPCA Compassion Award—an award that recognizes noteworthy individuals who have made outstanding contributions and commitments to animal welfare—while Saturday Night Live comedian Cecily Strong received the ASPCA Voice for Animals Award, which recognizes individuals in the arts who use traditional and modern media to increase awareness and inspire action on behalf of animals in crisis in the U.S.
Left: Isaac Mizrahi returned once again to emcee the event. Right: DJ Sam French kept the music playing throughout the night. Fashion designer Isaac Mizrahi returned as the Master of Ceremonies, while Sam French kept the crowd dancing throughout the evening at New York City’s iconic Plaza Hotel. Other notable VIP guests who walked the orange carpet that night included Nina Agdal, Arriana and Dixon Boardman, Mark Gilbertson, Wes Gordon, Jessica Hart, Gillian Hearst, Carolina Herrera, Orfeh, Andy Karl, Linda Lloyd Lambert, Luann De Lesseps, Mark Badgley, James Mischka, Chuck & Ellen Scarborough, Jessica Shyba, Brad Walsh, Veronica Webb and many others. Left: Television personality Luann De Lesseps with Laura Z. Barket. 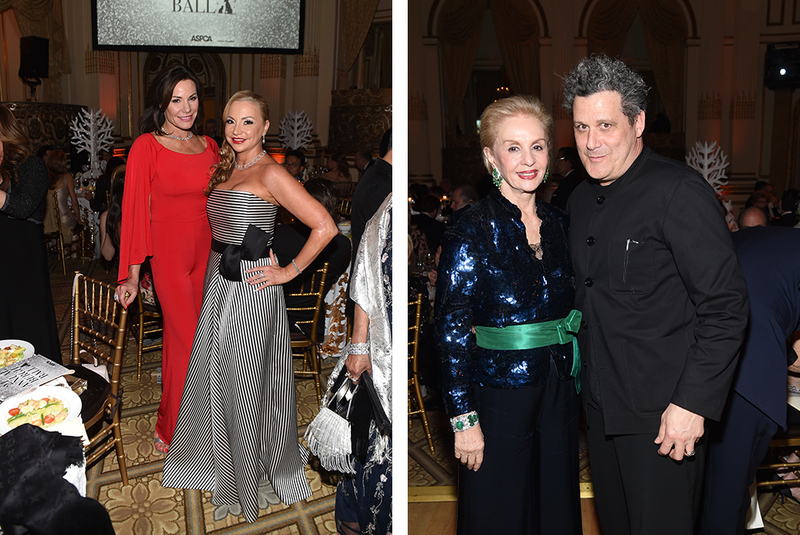 Right: Carolina Herrera and Isaac Mizrahi. Left: Ellen and Chuck Scarborough. Right: Model Nina Agdal poses with an adoptable puppy. The evening included a live auction hosted by esteemed auctioneer Jamie Niven, which featured several high-end items and luxury experiences including a once-in-a-lifetime pet photo shoot with award-winning animal photographer Seth Casteel—which sold twice for $23,000 each. Big-ticket auction items also included Billy Joel VIP concert tickets with a meet-and-greet and a signed vinyl record, which sold for $29,000. Left: Dixon and Arriana Boardman with Auctioneer Jamie Nevin. Right: Chris Del Gatto and Veronica Webb. Sponsored by Delgatto, CBRE and Tito’s Handmade Vodka, the event was themed “Diamond in the Ruff,” and featured décor design by David Beahm Experiences in collaboration with décor chair Robin Bell. Event Chairs, in addition to the honorees for this year’s Bergh Ball, included Linda and Ben Lambert, Kim White, Amy Lau, Laura and Fred Tanne, Paige Nelson and Rob Wiesenthal and Jeffrey A. Pfeifle. Associate Chairs included Allie Rizzo and Scott Sartiano, Amanda K. Ruisi, Paul Arnhold, Wes Gordon and Gillian Hearst.